I had forgotten that I had taken this photo at Home County Folk Festival so I'm posting it now. 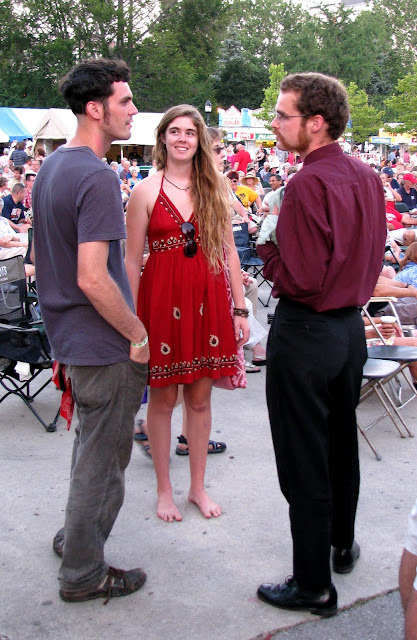 I thought that the two men, each showing a different style of sideburn, look like they were squaring off, while the young woman in the pretty red sundress waits to see what's going to happen. If there would have been a "battle of the 'burns", the guy on the right definitely would have won.